We live in an era of pervasive mobility and (dis)connectivity that triggers perpetual dislocation, where perceptions constantly shift across places into unsettled geographies, producing meanings that at times are arguably independent of the locative sources. As increasingly migratory being, a wandering urban dweller of today’s post-global cities is sensitive to environmental sounds navigating through various urban sites considering as spatiotemporally evolving but gradually disorienting auditory situations, juxtaposed with real-time spatial information, and memory of another place in another time. The nomadic subject relates to these situations through contemplation, mindfulness and contingent processes informed by the enhanced sense of mobility. Exile and Other Syndromes (2015 – 2017) responds to this indisposition of migration, placelessness, and nomadism – impulses of a contemporary condition that eventually blurs the boundaries between the digital and the corporeal, between local and the global, between private and public domains, or between intimate and dehumanizing spaces, helping the nomadic subject to emerge as an elevated, emancipated self. The project intends to examine these contemporary realities manifesting in a generative and post-immersive installation incorporating multi-channel sound diffusion and modulated text as visualization of field recordings. The work considers mindful aspects of deterritorialized listening and explores its introspective capacity transcending the barrier of immediate meaning to touch poetic sensibilities. 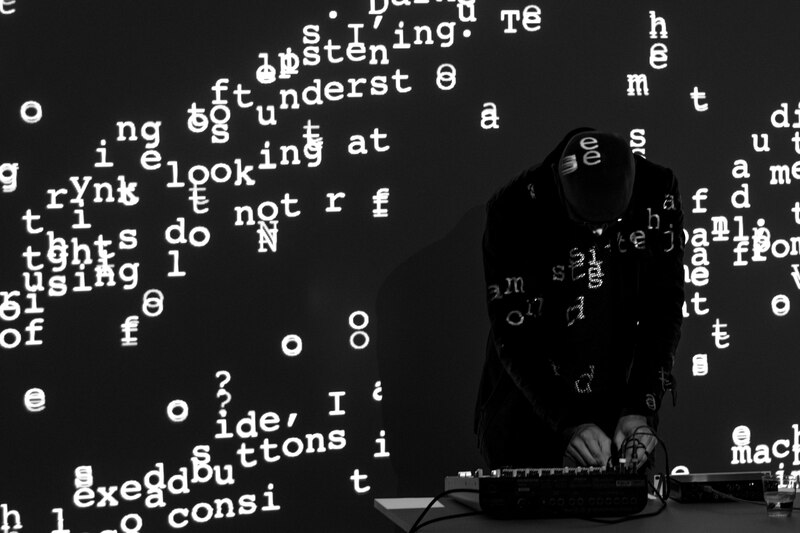 The project is developed in an Artist Residency (2015 – 2016) at Institute of Electronic Music and Acoustics – IEM, University of Music and Performing Arts Graz, Austria. 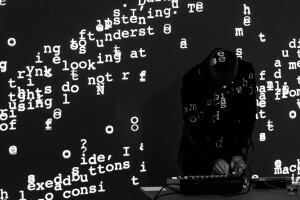 The premiere of the pilot version took place at CUBE, Institute of Electronic Music and Acoustics – IEM, University of Music and Performing Arts Graz, Austria, 19 January 2016. More info on Research Catalogue. The full version of the work was exhibited (3-channel live visuals) at the Rogaland Kunstsenter as part of the Screen City Biennial, Stavanger, Norway, 12 – 31 October 2017.